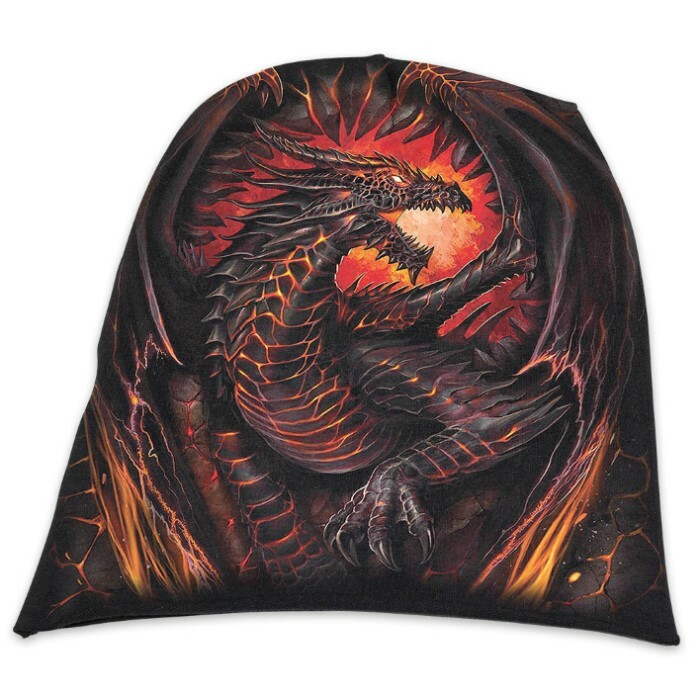 Dragon Furnace Cotton Beanie - Hat | BUDK.com - Knives & Swords At The Lowest Prices! Released from the scorching lava of its eternal rest, with the fire of a thousand millenniums burning in its eyes, this dragon is out for revenge. 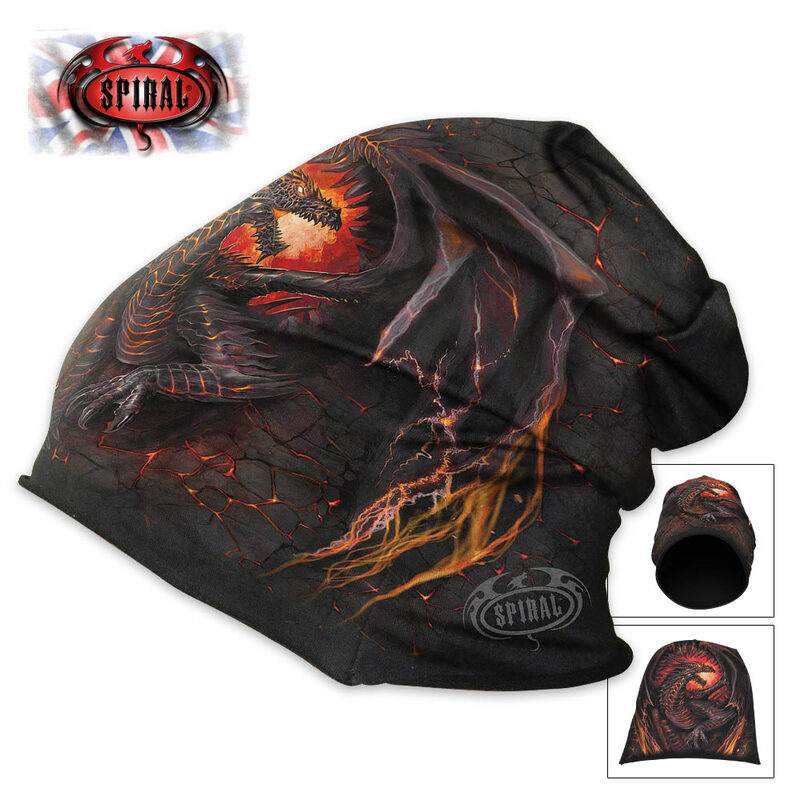 This black beanie has an all-over fierce and fiery feel. Add this awesome depiction of a dragon to your wardrobe with this incredibly artistic hat. It features vivid original artwork and is made of high quality cotton jersey.